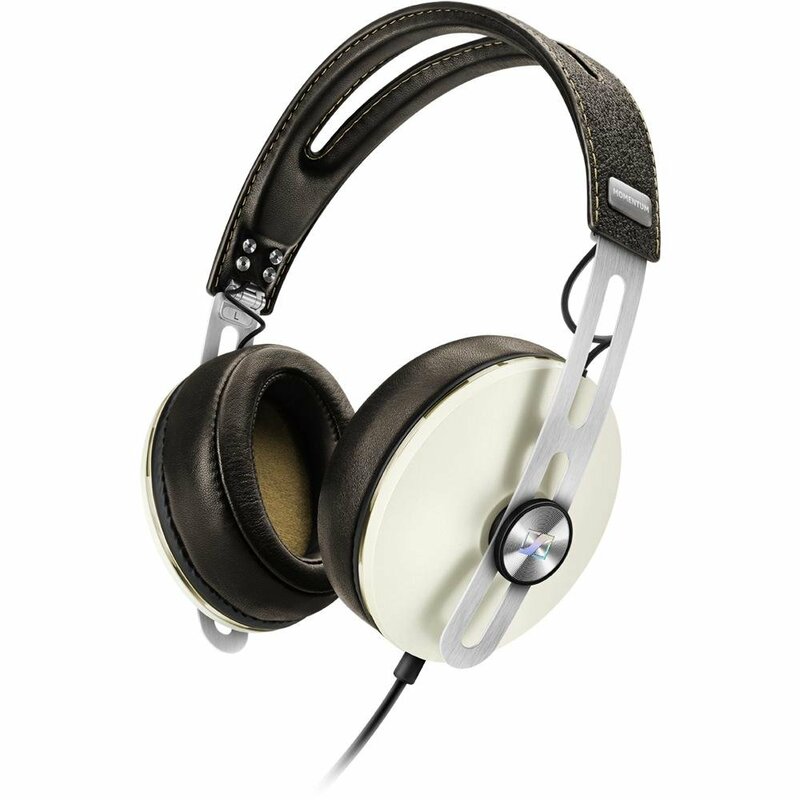 Style: Apple | Color: Ivory The second generation MOMENTUM headset brings signature Sennheiser sound to anupdated iconic design. Premium components like the stainless steel headbandand real leather covered headband and ear cushions illustrate precisioncraftsmanship and exude luxury. The new folding headband design providesgreater portability. The new slightly larger ear cups feature ergonomicallydesigned, memory foam cushions for improved ambient noise isolation andextreme comfort during long listening sessions. A single-sided detachablecable incorporates an inline remote and mic for controlling music and takingcalls. Two versions are available, one for Apple iOS devices and another forSamsung Galaxy devices and most other Android smartphones and tablets. Gen 2MOMENTUM again raises the performance bar for premium mobile headsets.